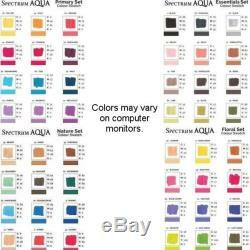 Crafter's Companion All 4 Spectrum Aqua 12 Marker Sets, 48 total markers. 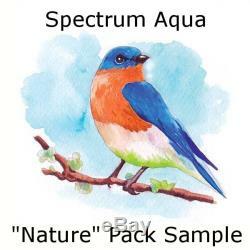 Essentials MPN:S-AQUA-ESS, UPC:709650766150, Primary MPN:S-AQUA-PRI, UPC:709650766181, Nature MPN:S-AQUA-NAT, UPC:709650766167, Floral MPN:S-AQUA-FLO, UPC:709650766174. Spectrum Aqua Markers combine the performance of water-based color medium with the convenience and value of a dual-tipped marker. Their high quality dyes give flawless, even coverage with all the definition and vibrancy to deliver outstanding results. Diffuse with water and seamlessly blend colors for a massive palette of related blends and tones, adding depth and realism to your work. 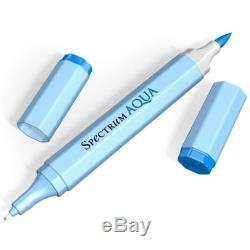 Each Spectrum Aqua Marker is dual-tipped. At one end there is a soft brush nib for flexible line control and a more natural art surface feel. At the other end is a fine tip for definition and accurate line work. 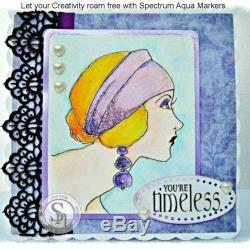 Spectrum Aqua Markers are a great addition to conventional water-based paints and other coloring media. Their high quality dyes give flawless, even coverage with all the definition and vibrancy you need. Then, using water, you can diffuse and seamlessly blend color to create the lifelike tones and subtle touches that will bring added depth and realism to your work. 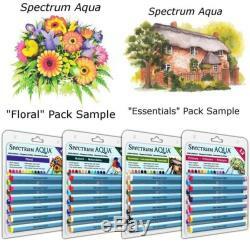 Spectrum Aqua Markers are packaged in helpfully arranged color-themed sets. Sorry, no international sales on this item. 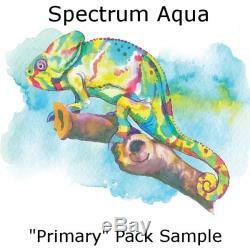 The item "All 48 Spectrum Aqua Watercolor Based, Dual-Tipped Markers, all 4 sets" is in sale since Friday, May 22, 2015. This item is in the category "Crafts\Art Supplies\Drawing\Pens & Markers". The seller is "leemcguire2001" and is located in Sterling Heights, Michigan. This item can be shipped to United States.